187 images in this album on 12 pages. 2/Jun/2011 - National Hillclimb Championship in pouring rain - I was fastest up the hill in Elite category, as well as in the general placement. On the top of the podium :-). It was a sweet victory as I wasn't really expecting it to come, having my mind and body focused on the upcoming Time Trial National Championship race. 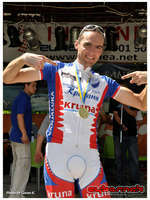 25/Jun/2011 - Just a couple of days after winning Bosnian National Time Trial Championship (on my Scott Plasma TT bike), we've had Republic of Srpska National Championship Road Race. 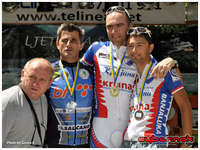 I won in the Senior category and became the most successful rider in the Championship, since they began, nearly 20 years ago :-). 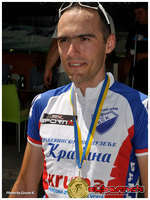 13/Jul/2011 - 87 km race for a National League, held in Sanski Most - I went in a solo break just a few km's into the race and came to a solo finish, nearly 12 minutes ahead of the main bunch! 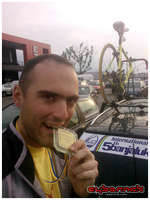 It was definitely one of my favourite victories of all time - and it shows :-). 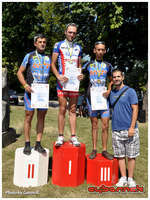 17/Jul/2011 - The third and final National Championship Event - Road Race this time, held in Bihac. A demanding 90 km long mountainous course. 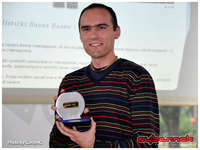 I won in the Elite category, making it three out of three this season! Well chuffed with the outcome :-). 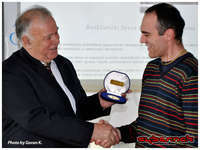 I also received a special honour as the National Road Race Champion, at the Bosnian Cycling Federation Ceremony, held on 6/Dec/2011 in Banja Luka. 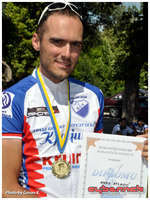 Nikica Atlagic, BSK Banja Luka - triple National Championship title in 2011.